Well, my scanner just died. Excellent. 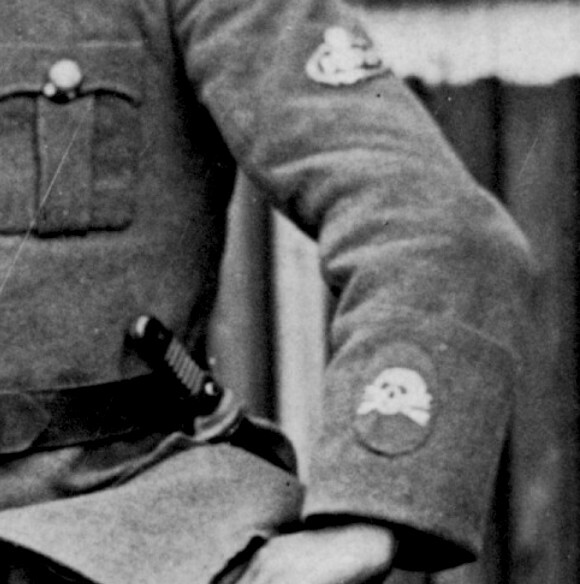 I was going to post a photo I have of a wartime flamethrower pioneer wearing what looks like an almost-black death's head sleeve badge, but now I can't, and tomorrow the photo is going to the publisher of my next book. Crud. 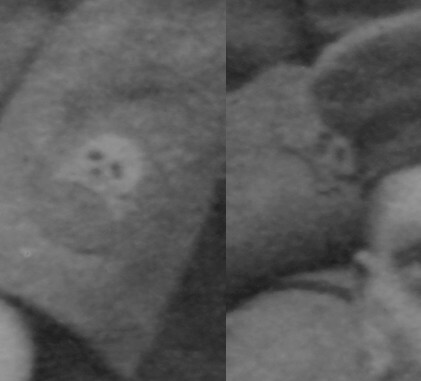 At any rate, if the skull badge is real, it's probably a postwar device. Sorry about the problem. Don't buy Canon scanners. 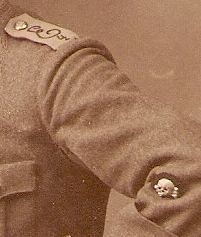 Here's a close-up of the sleeve badge, which is a white, generic skull that wasn't covered by the Order of July 28, 1916. The official letter from the Crown Prince authorized the flamethrower troops to wear the badge only for the duration of the war. In the postwar period, the 1st Company of (Preussisches) Pionier-Bataillon Nr. 3 was the Traditionstruppe of the Garde-Pionier-Bataillon and the Garde-Reserve-Pionier-Regiment. 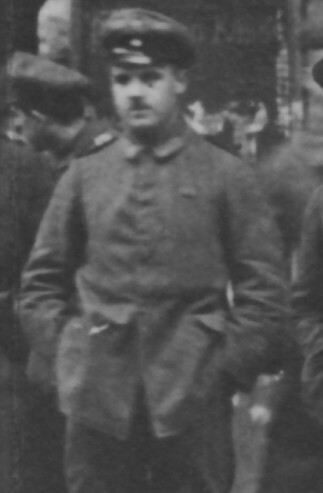 A Generalmajor Haenichen, president of the German Pioneers Association, tried to have the 1st Company awarded a death's head sleeve badge, but he was turned down by the Reichswehr defense minister without explanation. Thanks Thomas for that excellent information and the great photos. 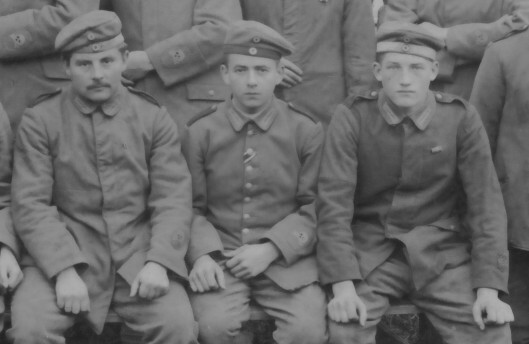 The Heuschkel one, in particular, is very interesting as it shows an 'unofficial' version of the FW sleeve TK, being worn 'officially' by an ex-FW man serving in a post-war Minenwerfer unit. 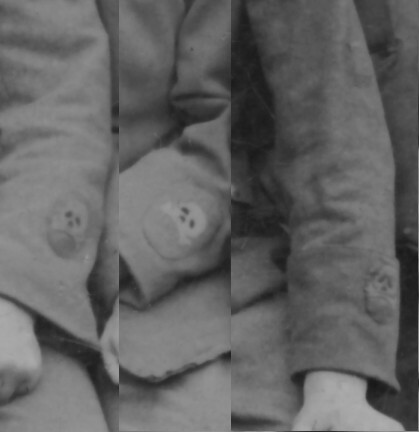 I think that further strengthens the connection between the skull and (Freikorps) Minenwerfer troops..................and so between the skull patch I found and the Minenwerfer boards which I think came from the same source. I can imagine that Heuschkel cuff TK turning up today.................and people crying 'fake'. If only I could find a photo of one of these skulls in black being worn. I intend posting my thoughts (good or bad) on the black skull once I have it in hand. However, my internet connection is being transferred over the next fortnight so, depending on when the skull arrives, there might be a slight delay. Can't wait for the book...................so I can see that photo! Robin, the straps are for an Offizierstellvertreter belonging to the Minenwerfer Bataillon XIII. 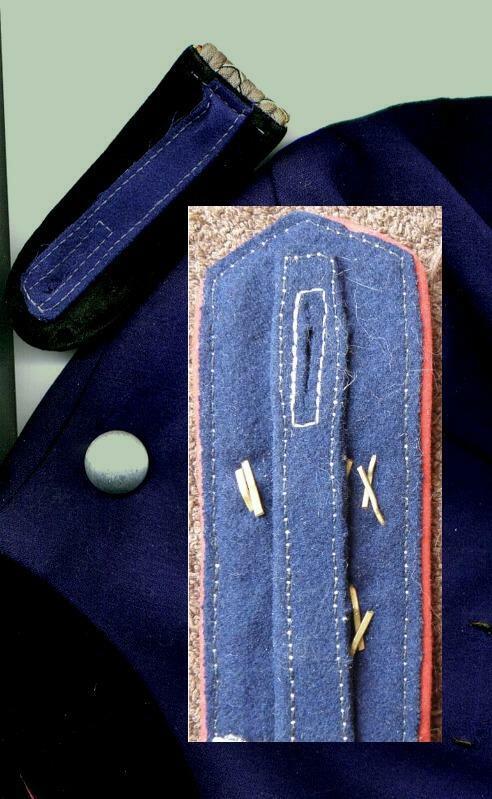 And I would say they are the early greatcoat straps that have been doctored. 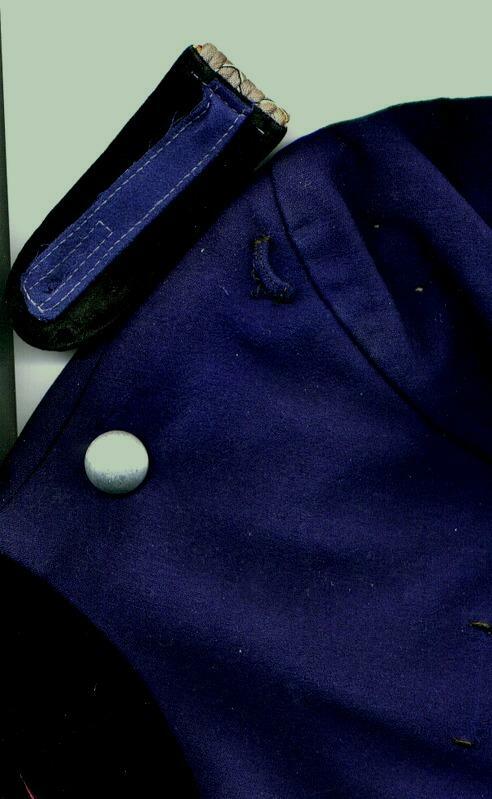 Come on, blue backing on the 1915 front color of black? And that big fat red piping? I would not take them if they were given to me. Thanks again for all this additional information. The method of construction looks very similar to me..............esp. the white stitching. Unfortunately, I know next to nothing about these Imperial-type straps. The longer this thread goes on, the more confused I get. More twists and turns than a twisty, turny thing. Robin, although my scanner is dead, I went through my old scans and found this image, which I included in my book German Flamethrower Pioneers of World War I. 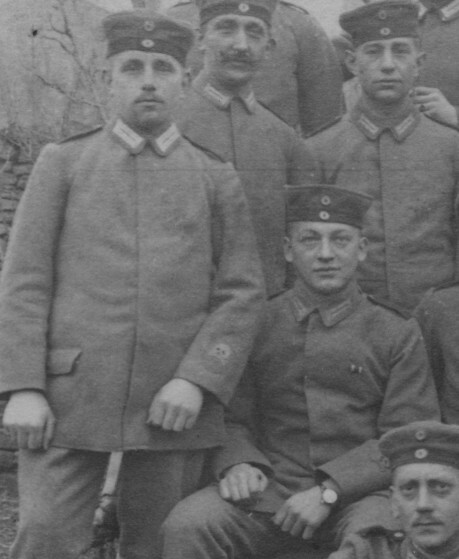 It's a 1919 photo of an Oberleutnant with numbers on his shoulder straps, which I was unable to identify. They're rounded digits, either "3," "5," or "9." Although an officer, he wears the wartime flamethrower-pioneer death's head in the enlisted pattern, cut from gray cloth instead of embroidered in silver bullion. You can even see the white teeth in this photo. The handwritten message on the back of the card identifies him as a "Noske-Gardist" or government-loyal soldier in a Minenwerfer unit. By the way, my new book, Flamethrower Troops of World War I: The Axis and Allied Powers, will cover all flamethrower units of all the combatants in the war. It should be published sometime this year, if I'm lucky! Here's a close-up of the sleeve badges. 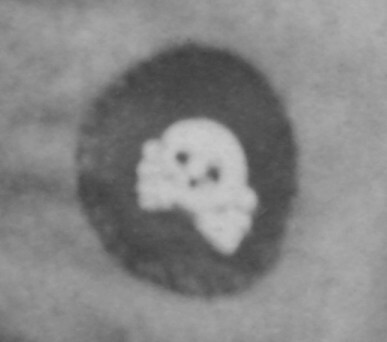 Note that the skull on the right is very dark and appears to be mounted directly on the sleeve of the pioneer, instead of on an oval cloth backing as is generally seen. And, finally, here's another postwar image. I spotted this guy in a postcard of a crowd standing in front of the Vorw?rts newspaper building in Berlin after it was stormed on January 11, 1919. Two flamethrower squads of Freikorps Potsdam took part in the assault. 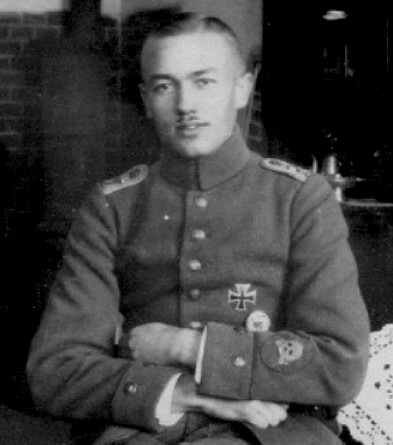 This man wears full wartime flamethrower-pioneer uniform, including black shoulder straps, Garde Litzen, and Totenkopf sleeve badge. 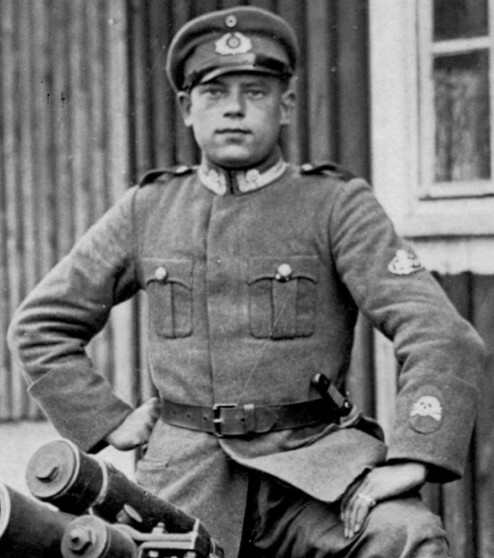 He was almost certainly a member of the Freikorps Potsdam flamethrower squads. From what I gather, most postwar flamethrower squads were made up of regular infantry or pioneers, with one or two former members of the Garde-Reserve-Pionier-Regiment as trainers and overseers. Some great pictures and good information there. 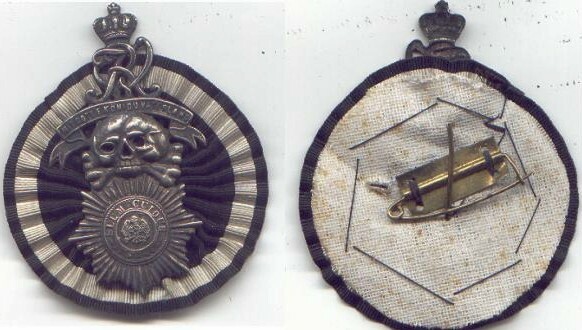 It's clear from the photos that the wartime FW badge continued to be worn post-war, despite the regulations. Here's another Kokampf badge, for your interest. This one uses the tilted skull. 3) Quality of the skull... There is nothing at all from the manufacture that can tell us either way... hand made is hand made, be it 1919 or 2009. 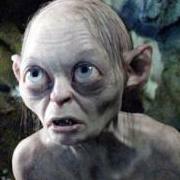 4) "Fakes always come in batches".... unless they are hand made, then the maker decides how many he wants to make. 5) "A faker would never make a piece that is so different from "Regulation"" .... unless like me (and most of you) that have been following forums for 10 years and know how often this argument is used to justify maybe/iffy pieces. Different from "Regulation" is the easiest sell, as noone has anything to compare it to. 6) That it went for a low price means nothing in this argument as it was an auction. The seller obviously hoped for a lot... that it went for little is the "fault" of the collectors, not the seller. I think the only thing that MIGHT convince me would be to go through the sellers history. Otherwise its a "maybe, who knows.." kind of deal. Robin, can you provide the link to the auction, or tell us where it was? I think the only thing that MIGHT convince me would be to go through the sellers history. Robin, can you provide the link to the auction? The seller has over 9000 deals, and a 100% feedback rate. I've had some nice 'out of the woodwork' stuff from him in the past. 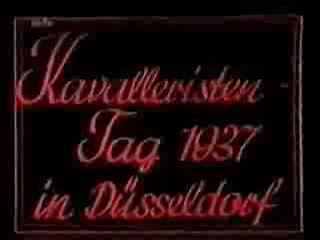 Here's an example.....................I've only seen a couple of these Leibhusar veteran's badges in 35 years. I know that others here have also picked up very nice bits from him................scarce Feldgendarmerie photos, naval cap tallies, etc. "I think the only thing that MIGHT convince me would be to go through the sellers history." Actually that is the LAST thing that influences me. A house clearer is by definition a clueless amateur. Yeah, if the perp is churning through industrial-scale crap, THAT is significant. But a scavenger doesn't KNOW... anything. Buy thing give money. One of my favorite ebay ribbon bars came from a German seller of classic wrist watches and gay knock-off colognes. Indeed... if he was a rank amature house clearer selling pots, pans, kiddies toys and every 200th piece is some militaria I would say "Yeah!" "Originalst?ck frisch vom Dachboden aus einem Nachlass!".. Very unusual for a guy with so much Militaria turnover. He also seems to be very knowlegable with what he sells. I dont think he exists exclusively outside of collector circles. His feedback leaves him (for me, IMHO) as trustworthy as any other small time dealer whose every badge "... has just come out of a Nachlass in the neighbours attic"..